Seriously, if you know me, you would know that nothing brings me more joy than time with family during any holiday. 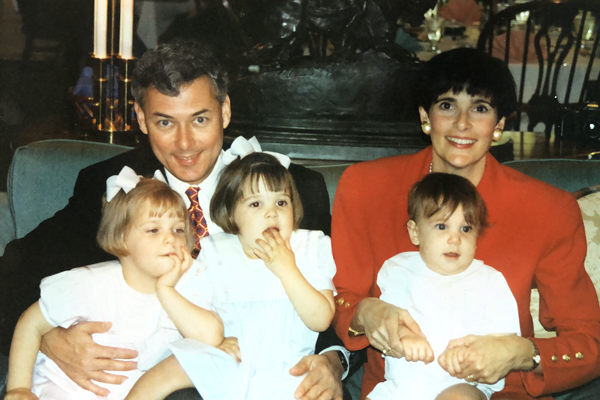 Easter brings happy memories of big family gatherings, going to Easter services from Thursday to Sunday, and of course, the Easter egg hunts. Easter lunch was the culmination and center of our Easter celebration. For many, this is also a special time of year for some to observe Passover. Both involve preparing special meals for those we love. As you’ve heard me say before, a special meal doesn’t mean one than requires a week in the kitchen. If we were going to be home for Easter, I might very well be serving the menu I’m sharing with you. It is festive, beautiful, and yes, you’re catching on … effortless. With gratitude and blessings during this holy season … may you find the golden egg! 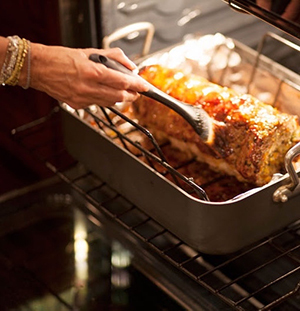 This Menu calls for a Pork Roast and a HoneyBaked Ham, but you don’t need both. You could also substitute beef in place of the pork. Celebrate with a special table! Today’s culture is more casual, and our family loves throwing on our jeans, too! For special occasions and holidays, however, our family dresses up. It signifies that we are celebrating a day that is extra-ordinary. These occasions also inspire me to “dress up” the table. To celebrate Easter, we enjoy our finest china and add colorful flowers to welcome spring and the new life it symbolizes. I invite you to celebrate your special occasions by dressing up your table! Buy your eggs in advance. Hard-boiling eggs? Buy your eggs early. Eggs that have been in your fridge for a couple of weeks are easier to peel when hard-boiled than just-bought eggs. 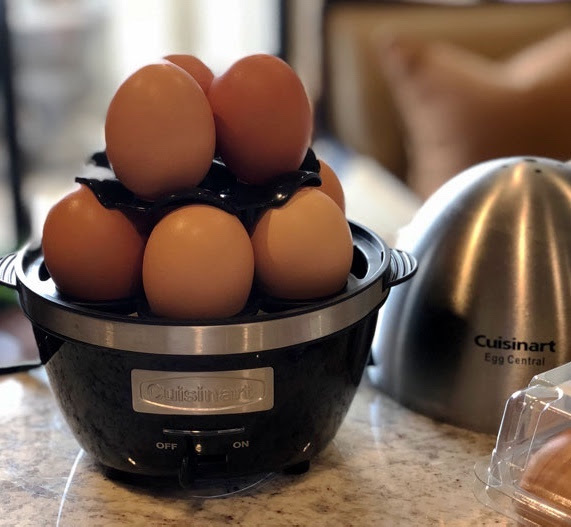 To add to the ease of preparing hard-boiled eggs, try this wonderful find from Cuisinart. Perfect eggs every time! Back to Nature Crackers – One of my favorite crackers – perfect for your layered hummus. Jordan Almonds – These beautiful sweetened almonds have made an appearance every Easter. DeeDee is the author of Effortless Entertaining, Open Your Home, Open Your Heart, and Give the Gift of Hospitality, your complete and beautiful guide for entertaining easily and graciously in your home with inspiring ideas and practical resources. DeeDee also speaks to groups of women sharing her Ten Steps To Effortless Entertaining. Our Favorite Watermelon Recipes: Salsa, Salad, Pizza, Popsicles, Cake & More.